When faced with the difficult decision of having to reduce a company's workforce, members of management must determine the criteria for employee layoffs that will be used to determine which positions will be eliminated and which employees will lose their jobs. Each company and situation is unique, so the criteria used to make layoff decisions may vary greatly from one organization to another. 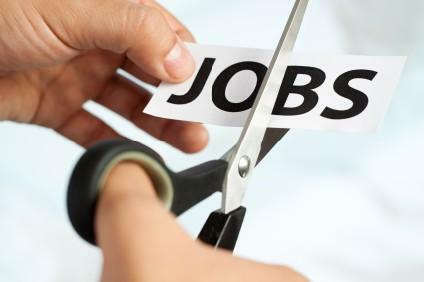 While there are some federal regulations that U.S. companies must follow when making layoffs, there are very few specific requirements for how to handle these types of situations. This means that organizations are largely on their own to establish the criteria that will be used to make decision over how to implement layoffs. The primary legal requirement that every organization must observe when reducing its workforce is to avoid making decisions that are discriminatory in any way. Employers must ensure that layoff decisions are not based on any characteristic that is protected from discrimination under federal law. It would not be acceptable, for example, to use length of time until employees reach retirement age as one of the criteria for layoffs. Such a criterion could result in age based discrimination. Under The Worker Adjustment and Retraining Notification (WARN) Act, large companies that make the decision to shut down or implement a mass layoff of workers at a particular location are required to provide at least two months of notice to the municipality and state where the company is located and to the employees at the affected site. In addition to complying with federal legal requirements, companies must also establish the criteria that will be used in determining which employees will lose their jobs when layoffs are necessary. There are several different ways to approach establishing criteria for employee layoffs. Position Specific Layoffs - In some situations, the decision is made to eliminate certain jobs. When position specific layoffs occur, employees who hold the affected job titles are laid off, regardless of performance or seniority factors. Seniority - Some companies make decisions about who will stay and who will go based on seniority. When using this factor as a layoff criterion, the employment of the employees hired most recently is terminated while those who have been with the company the longest are able to retain their positions. Performance - In some cases, companies opt to use job performance as the decision making factor in layoff decisions. Organizations that use this criterion opt to keep those workers who have exhibited the highest levels of performance and to lay off the lowest performing employees. Voluntary Retirement - While it's not legal to base layoff decisions on age, it is acceptable for companies facing layoffs to offer voluntary early retirement packages to some members of the workforce. In this circumstance, companies must take specific steps to verify that their actions are in compliance with the Age Discrimination in Employment Act (ADEA). Because this type of layoff option requires workers to sign away their rights to protection under the ADEA, the affected workers must be given time to consult with legal counsel and provided with a grace period to change their minds. Additionally, in this situation, employers are required to provide some type of severance compensation to those workers who agree to taking early retirement. No matter what criteria for employee layoffs your company chooses, it is essential to be certain that all of the decisions you make are nondiscriminatory and legally defensible. Additionally, layoffs should be handled in an ethical manner characterized by treating the employees who are let go with dignity and respect throughout the process.